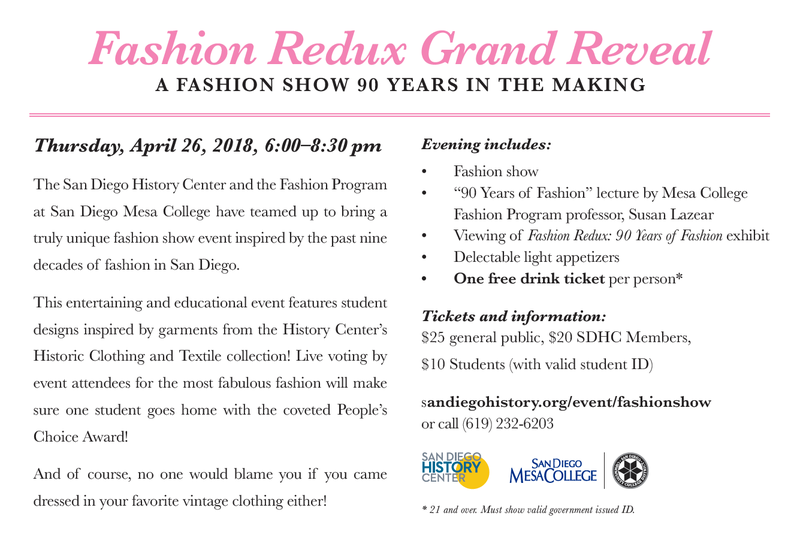 The San Diego History Center and the fashion program at San Diego Mesa College have teamed up to bring a truly unique fashion show event inspired by the past nine decades of fashion in San Diego - Fashion Redux: 90 Years of Fashion exhibition and fashion show! 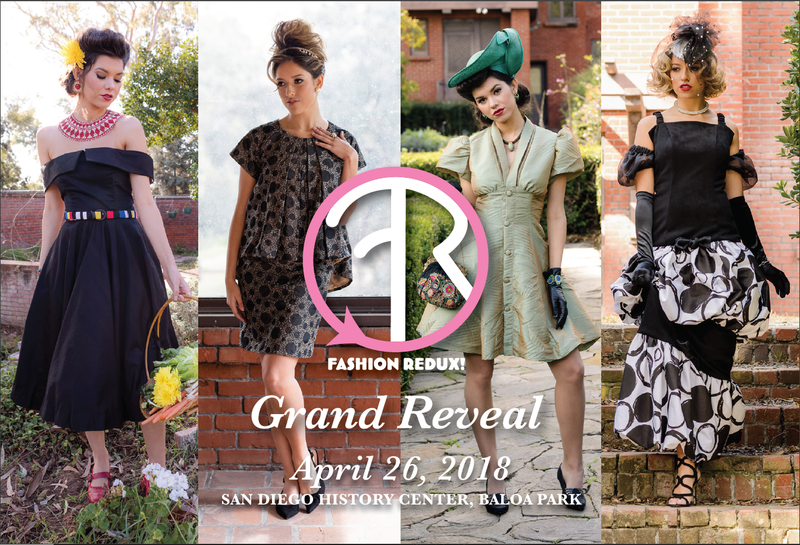 The evening features a chic reception, fashion show of student garments set inside the spacious exhibition, a lecture by fashion expert, Susan Lazear, followed by the announcement of the live voting for the coveted People’s Choice Award. Fashion Show is April 26, 2018 from 6pm – 8:30pm.